It's almost summer and the beach is on everyone's mind. 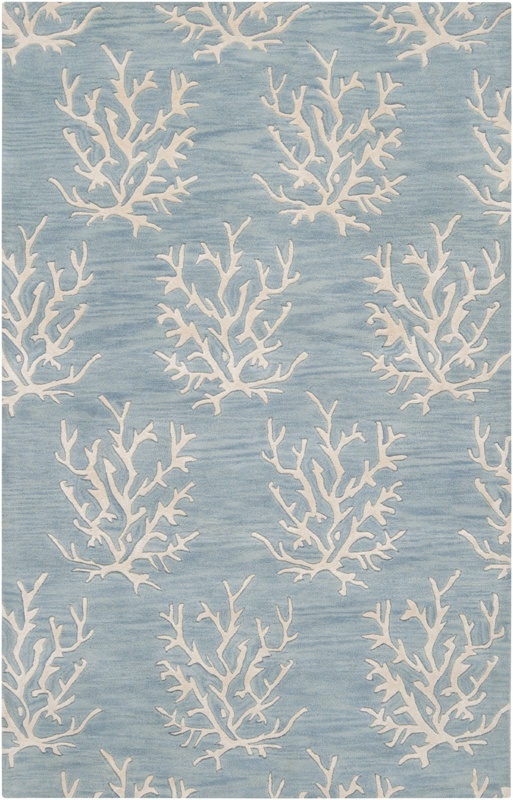 When I think of the beach, I think blue, soft blues, dark blues, aqua blues. 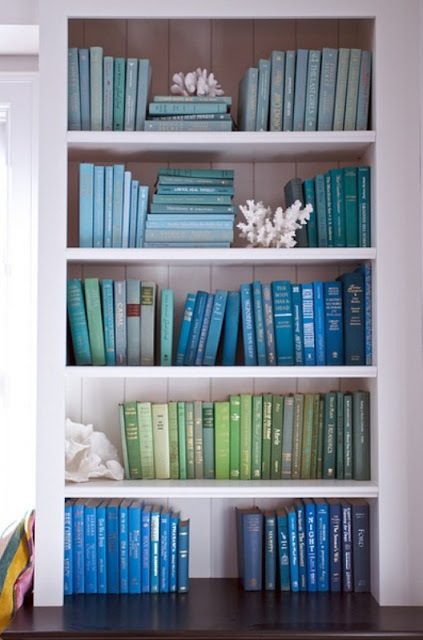 Naturally this brings the color of the sea into your beach house, and blue just never seems to look out of date, no matter what the trend. 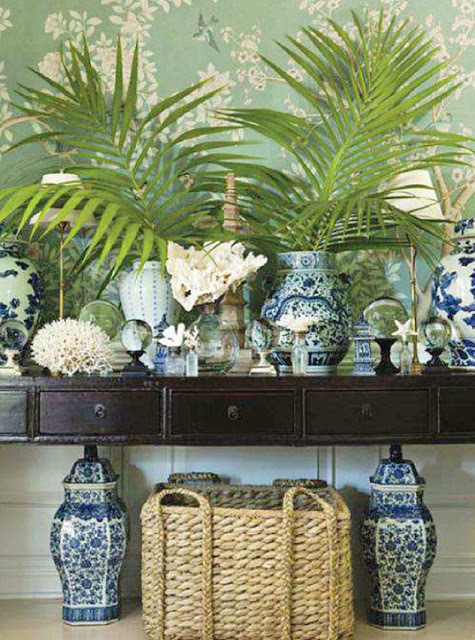 So, here I share with you some magnificent examples of bringing these colors of blue into your home. 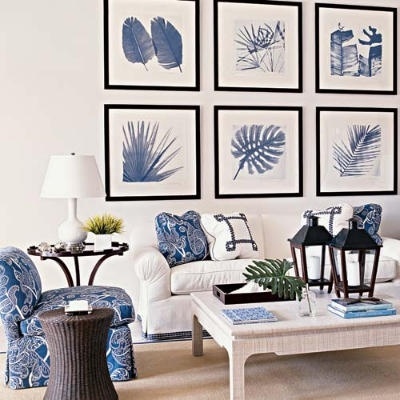 Love the large graphic prints on the wall. They have a beach feel without going to far with a "theme". Who could not imagine themselves in this soft and restful environment of light blue for an afternoon nap after a day in the sun! I can feel the breeze off the water just by looking at this photo. I absolutely love this curtain fabric, and all the mix of patterns and color in the decorative pillows! 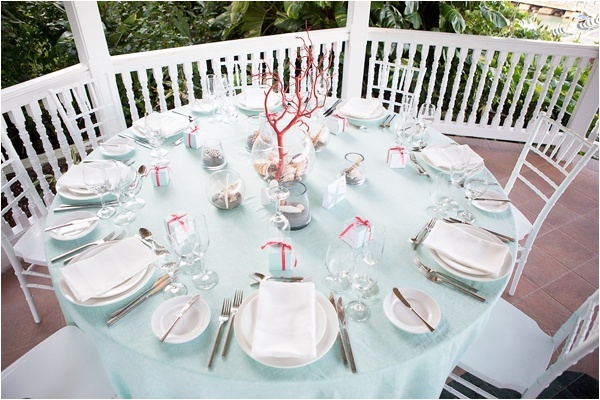 The palest of blue table cloth is just wonderful here with the coral accents and crisp white table linens. Just love this bookcase of uncovered books in all shades of blue. shells at the edge of the water on the beach. 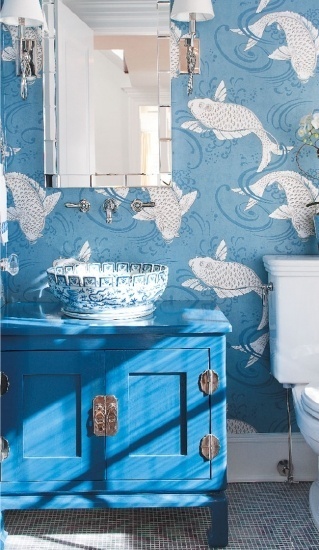 Who can resist this blue and white fish wallpaper and the beautiful porcelain sink! 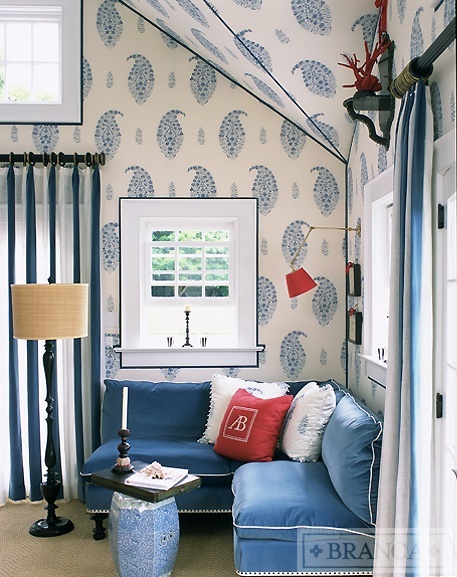 A cozy little reading corner for a rainy day. 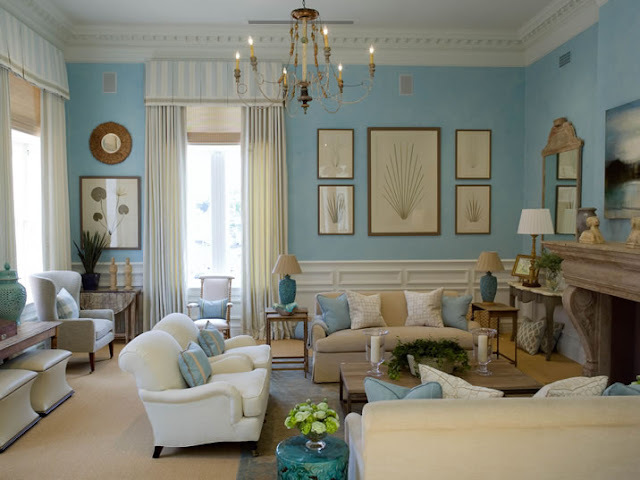 I like the ocean blue color of the walls in this room, and the cream and white furniture. 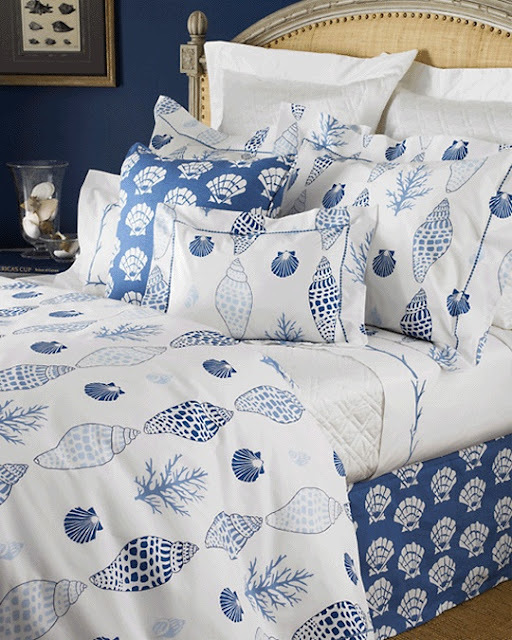 I have loved these seashell printed sheets and duvets from LuLu DK Matouk since they were introduced into the collection. 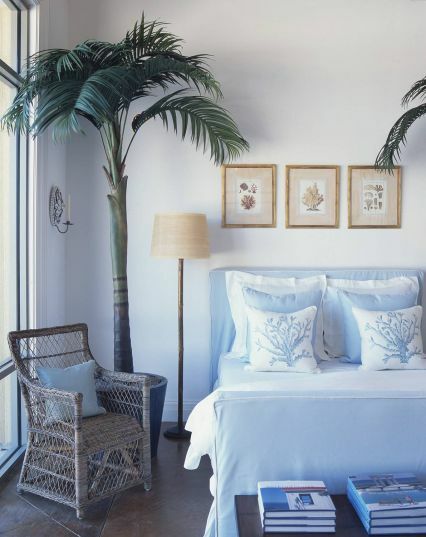 This room represents the simplicity a room at the beach should have. 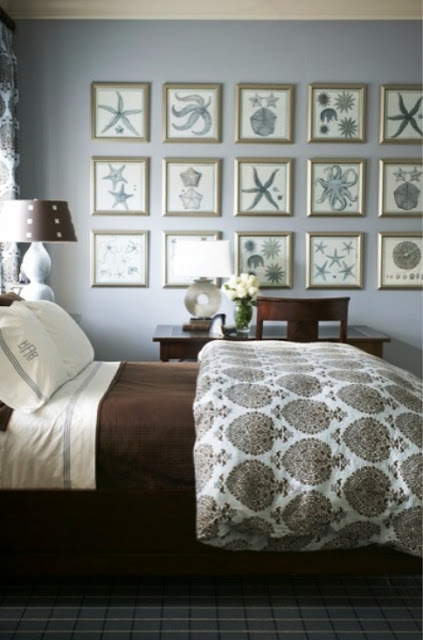 I adore the accent pillows. 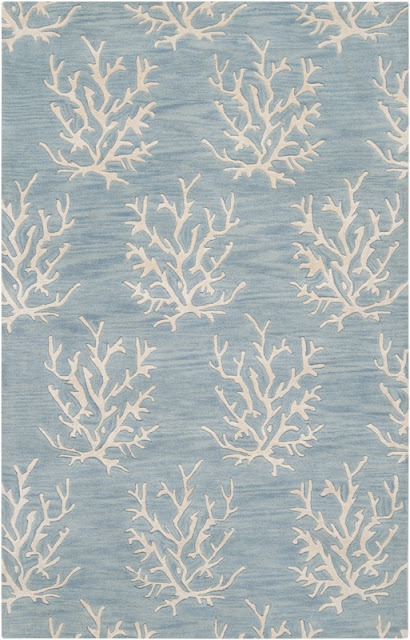 Beautiful blue and white coral rug! 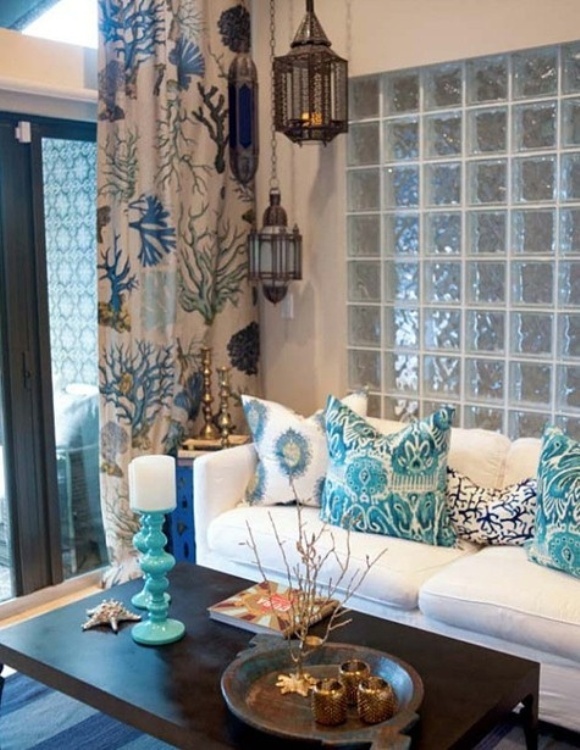 How exotic is this wallpaper! 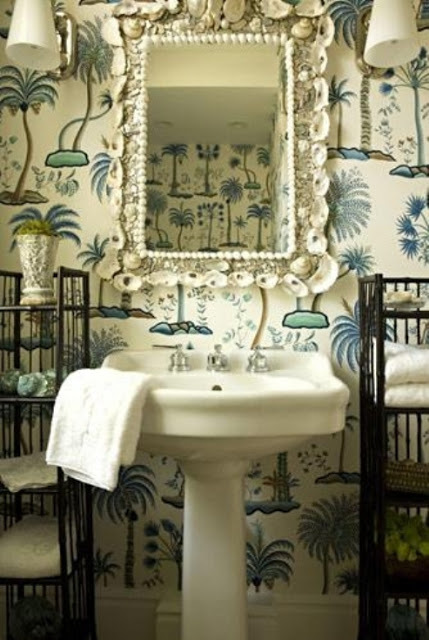 The shell mirror, crisp white towels and dark bamboo etagere keep this powder room cozy. It reminds me of Hemingway and the Florida Keys.